A unique neighborhood, for SURE! A wonderful rural feel, with the security of a subdivision that has very relaxed HOA! Centrally located, with an easy drive to VA, USCGB and the pristine beaches of the Outer Banks. 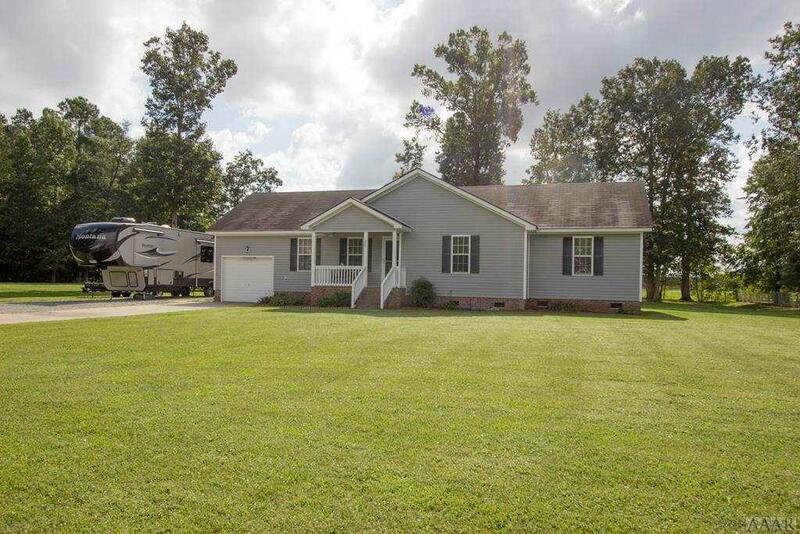 Home is located in a prime spot within the neighborhood and in a top rated school system. This is a comfortable one-owner home, with GORGEOUS flooring, newer kitchen appliances and displays the pride of ownership with ongoing care and routine maintenance. Enjoy the sprawling lot, with lush grass and oak trees that pepper the far backyard. HVAC was replaced in 2016 . One a personal note - Camden has been a wonderful place to raise our 3 boys -- They had the pleasure of chasing frogs and tadpoles in the spring, climbing trees and riding four-wheelers in the field. We have been so happy, living in Camden, and I hope you will be too! Listing courtesy of Lisa Brown of United Country Forbes & Brown.